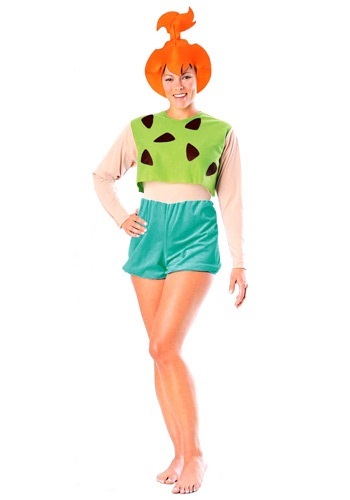 Dress up as one of the Flintstones and have a yabba-dabba-doo time! “The Flintstones” is a Hanna-Barbara cartoon from the 1960s that is still popular today as evidenced by the continual reruns and live action films that have been made. “The Flintstones” chronicles the Stone Age life of Fred Flintstone, a rock quarry worker, his wife Wilma and their daughter Pebbles. Much of humor of “The Flintstones” centers on the seemingly contradicting “conveniences” that the characters use such as foot-powered cars, wooly mammoth dishwashers and automatic razor made with a clam shell vibrating with bees! You’ll make pre-historic entrance in a Flintstone costume styled from cartoon-like ensembles of faux animal skins, fake bones and other stone age accoutrements. 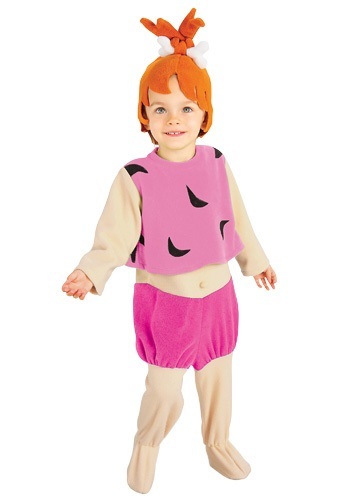 Pebbles costumes are available is sizes to fit toddlers, teens and adult ladies. 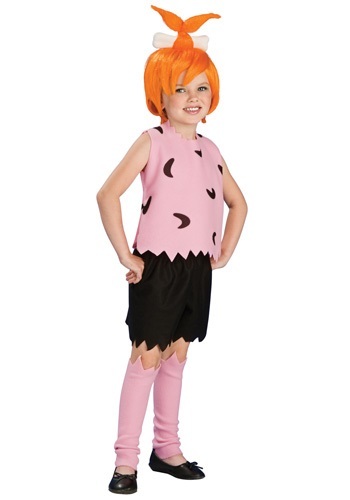 Typically, a Pebbles costume features a pink shorts outfit or min-dress with jagged hem and a pink or orange character wig with a bone pulled through the hair. If you have others in your group, have them dress up as mother Wilma in a one-shouldered dress with a “wild side”, attached large “stone” necklace and her signature bright orange hairdo or the neighbor boy and love interest Bam Bam.